The Blue Angels brought the only air show to the New England region after a year hiatus thanks to the Government. 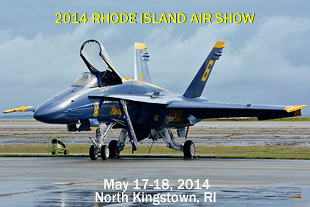 Rhode Island�s Quonset State Airport grabbed the Blue Angels when May 17-18th opened up after Cherry Point canceled their air show. With Quonset being an old Navy air base the US Navy�s Blue Angels is a crowd favorite and was sure to attract thousands. Mother Nature yet again tried to throw a wet damper on this show where all week long it was calling for showers all weekend. Thankfully the showers ended by 7:15am and the clouds were pulling away by 11am. 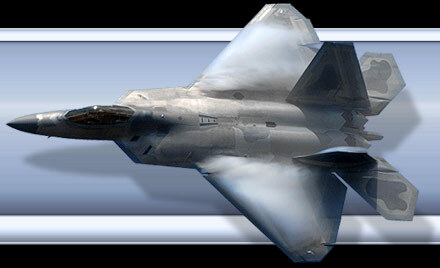 This year�s show not only brought in the Blue Angels, but the USAF was represented by the F-22 Raptor demo and the US Marines were sure to please the crowd with the MV-22 Osprey Demo. The other military single ship demo�s haven�t stepped up yet, hopefully next year we�ll see the F-16 and F-18 Demo�s up and running again. For civilian acts we had Sean D Tucker in his Oracle Bi-plane, John Klatt not only in his Air National Guard S-330, but also deputed his �Screamin� Sasquatch�. His Jack Link�s Jet powered Waco was awesome. An act you really have to hear just as much as see. To hear a jet engine come off a bi-plane just didn�t sound right. Local Rob Holland stunned the crowd in his Cox stunt plane. The Collins Foundation brought their A-1E Skyraider to open the show, a P-51D, the Geico Skytypers along with Julie Clark took their performances to the skies. A new act for me was seeing The Horsemen�s F8F Bearcat and the F7F Tigercat, 2 Vintage Navy fighters. Due to the storm that came up Friday, the Horsemen didn�t arrive till late morning on Sat but took to the air in the afternoon. The Blue Angels as always were the closing act, Fat Albert starting their show in their C-130 and then the Blues taking to the Blue Skies. There was no Combined Arms, C-130J or UH-60 Demo�s from the home RI Units this year which was a disappointment. I�d like to thank the RI Air Nation Guard for their 23rd annual air show and looking forward to next year�s on Memorial Day.